April | 2016 | Mike Lamberti, From Margate To Cleveland, And Back ! Her team had just won a hard-fought, 3-1, game against previously unbeaten Saddle Brook at a Coaches vs. Cancer Tournament in Park Ridge on April 30, but when Immaculate Heart Academy head coach Diana Fasano came by to talk, she had the look of someone who had too many of those Sour Patch Kids candy, the ones that don’t turn sweet after a few minutes. IHA won its 12th straight game, on another tremendous performance by junior lefty Olivia Sprofera (Southpaw Seattle Slew), a clutch two-run homer by junior infielder Sonia Sharma and a perfectly manufactured run by senior shortstop Taylor Kenerson, which plated an insurance tally in the last of the sixth. Fasano felt her team left too many runners on base. Sharma had a tremendous game, including a long two-run homer in the third which gave IHA (13-1) a 2-0 lead. After Saddle Brook, (13-1) cut the lead in half on a solo homer, the Eagles got an insurance run in the last of the sixth. Kenerson launched a long double to right center, then stole third on a head-first dive. Emilie Cieslak (Tim Tam) then grounded out to first, and on the play, Kenerson took off for home and just avoided the tag at home plate, on a close play. The three runs were more than enough for Sprofera, who was once again dominant. Southpaw Slew struck out 10 and walked one while scattering four hits. In three close games this week, she had some pretty crazy numbers, allowing one earned run, in 19 2/3 innings, while striking out 27, walking two and giving up eight hits. 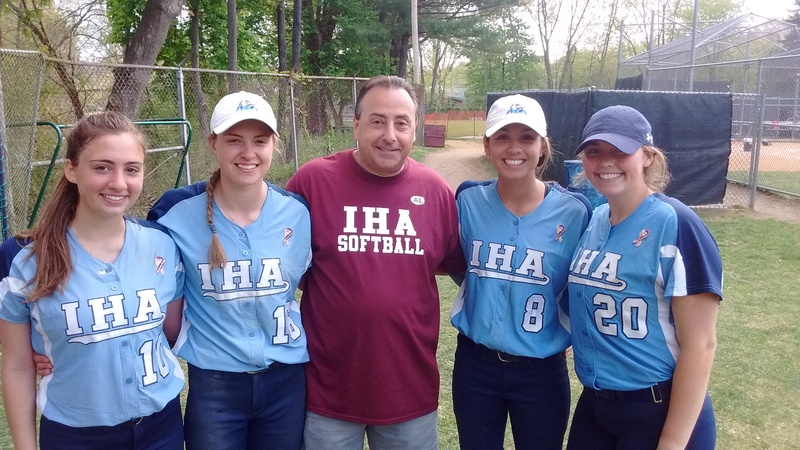 Joe LaRezza has been a regular at IHA games this spring. Following the Eagles’ win over Saddle Brook, he was joined by (left to right) Olivia Sprofera, Taylor Kenerson, Sonia Sharma and Emilie Cieslak. (Click on photo for larger image). 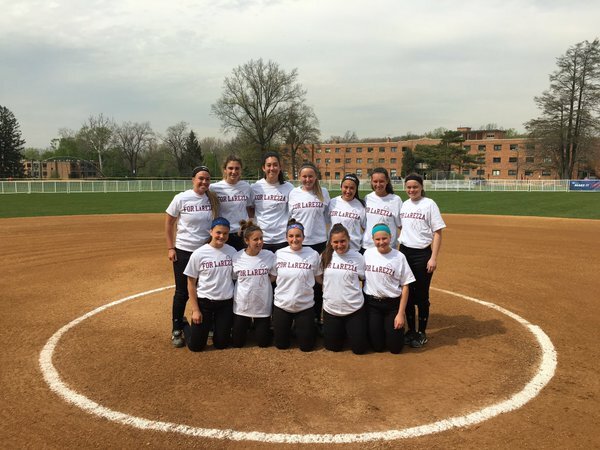 In advance of its big game on May 2 against West Essex, Nutley played two games at a tournament on its home field on April 30, defeating a very good Millburn team, 3-2, in eight innings, then stopping Linden, 12-1, to improve its record to 14-2 on the season. The Raiders will host re-hot West Essex, which will come to town with a 13-1 mark and 12-game winning streak. Nutley head coach Luann Zullo was impressed with Millburn’s resliency. Despite a (now) 15-1 record, not a lot has been known about the Millers, since they’ve played an SEC Colonial Division slate. Millburn is the 11th seed for the upcoming Essex County Tournament. Nutley’s senior lefthanded pitcher Emily Holden (Genuine Risk) pitched eight tremendous innings, striking out 14 and walking four. Breanna DeMaio was 2-for-4 and drove in two runs for Nutley. Alanis Concepcion drove in the winning run with one out, in the bottom of the eighth inning. DeMaio pitched the second game against Linden, striking out two and walking one in five innings. She also had two hits and drove in a pair of runs. Nutley’s Samantha Eccheveria had two hits, drove in three runs and scored twice. Millburn shortstop Rachel Hubertus, a junior, had a solid game and continues to impress with her solid defense and steady bat. (Stud watch). Millburn came back to defeat Bloomfield, an SEC American Division team, 13-3, in the second game. Watch out for this team in the coming weeks. They’re sure to get a good seed in the state tournament and, like Zullo said, will be a tough opponent in the ECT. Bloomfield won its first game of the Nutley Tournament, stopping Linden, 15-9. The highlight there was three straight homers in the bottom of the sixth by Bloomfield’s Courtney Politz, Sam Corio (Pleasant Colony) and Jalia Santos. Corio was once again tremendous in centerfield, as well, making some outstanding catches. The Bengals will take a 7-11 record into a game against Mount St. Dominic on May 2. West Essex found itself in a little bit of a mess early in its April 29 home game, with Bloomfield, as the Knights spotted the Bengals a 3-0 lead in the first inning. 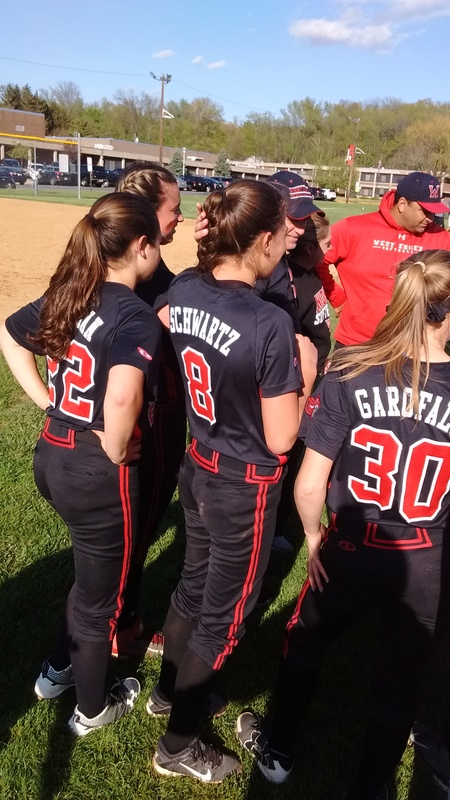 But behind the clutch hitting of senior first baseman Kate Jencarelli, West Essex came back with two runs in the bottom of the first, then eventually pulled away from a 3-3 tie with two runs in the fifth and won its 12th straight game, 5-3. West Essex (13-1) will have the weekend off, then hits the road for a key game, at Nutley, on Monday afternoon. The Raiders improved to 12-2 on the season with a 9-1 win over Cedar Grove. Nutley will play two games on Saturday, at home, in a tournament setting which also includes Bloomfield, Millburn and Linden. Jencarelli drove in a run and scored once for West Esesx while Amanda Garofalo and Bridget (Over Troubled Water) Betley had two hits each. Bloomfield (6-10), which plays everyone tough, was led by senior centerfielder Sam Corio (Pleasant Colony), who had two hits and was spectacular in the outfield. Corio hauled in a long drive in deep center late in the game, but it was her play in the fifth inning that opened a lot of eyes, but yet, didn’t surprise the West Essex players, or fans. With a runner on first, a West Essex batter hit a hard single into the centerfield gap. Corio was on the ball quickly, but a little off-balance. Seeing the runner on first attempting to go to third, Corio threw a laser, and the runner was out fairly easily. Most of the West Essex parents, who know Corio from summer ball, were all imploring the runner not to test the Kean-bound Corio’s throwing arm. (And as an aside, Montclair coach Phil Delgado and I were watching a Bloomfield game, against Livingston, at The Pond, in early April, and stood behind the third base fence. Corio threw a ball from center to third, and we could actually hear the ball hissing as it approached the bag). Sophomore Amanda Schwartz struggled a bit in the first inning, yielding three runs, but she pitched very well for the remainder of the game, blanking the Bengals and pitching a four-hitter. Schwartz struck out seven and walked two. Sami Huetter (Canonero II) drove in the go-ahead run for West Essex in the fifth inning, on a ground out. Mondadori was able to give Huetter, her star pitcher, a few days off from pitching, since the big win over Mount St. Dominic earlier this week. She’ll be back in the circle on Monday, when the Knights visit Nutley. Kelsey Oh of Mount St. Dominic and Montclair’s Jessie Masur put on quite a pitching display at the Mount’s home field, in Caldwell, on April 28. The game was scoreless until the bottom of the seventh, when Mount St. Dominic’s Marissa Jenkins singled to lead off the inning, then picked up two more bases when the ball was mishandled in right field. After Masur recorded her 10th strikeout, Annamarie Campanile lined a hard single to score Jenkins with the game’s only run, as Mount St. Dominic prevailed, 1-0. Masur has been on quite a run recently, including a 20-strikeout performance against Bloomfield earlier this week. Maddux allowed just four hits against a good Lions team today. As for Oh? It was a ho-hum 17 strikeouts and a one hitter. To call her a stud is the equivalent of saying it gets warm in July. In a game that could have gotten away from her, Oh worked out of mini jams in the sixth and seventh innings, when Mountclair had a runner in scoring position, with two outs. Montclair’s number one fan, Ed Bates, was fired up throughout. “Get it to the seventh inning,” implored Bates. Montclair coach Phil Delgado was his usual glass half-full self afterward. In Wayne, Immaculate Heart extended its winning streak to 10 games, and avenged its only loss of the season, with a thrilling 2-0 win over DePaul. IHA’s Olivia Sprofera (Southpaw Seattle Slew) continued her marvelous season with a third straight shutout against another quality opponent. 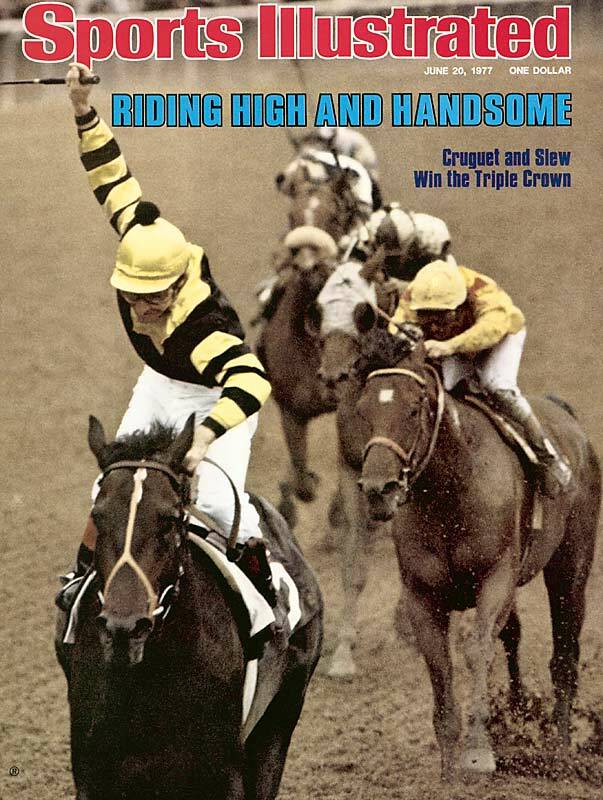 Olivia Sprofera, Southpaw Seattle Slew, continued her dominance today. The Eagles improved to 11-1 on the season. The lone loss came in the second game of the season, at home to DePaul, 4-3. In that game Slew pitched great, striking out 13, but was hurt by two walks and a three-run homer in the fourth inning. This time, she was obviously even better, striking out 14 and walking one. Senior first baseman Emilie Cieslak (the new Tim Tam) lined a two-run triple in the top of the 10th inning to secure the IHA victory. The Duke-bound Cieslak has been a constant at the plate for the Eagles all season long. “It was a huge win for us,” said IHA coach Diana Fasano. A day after defeating No. 1 Mount St. Dominic, West Essex went on the road today, at Summit, and came away with an 8-0 win for its 11th straight victory. The Knights clung to a 1-0 lead through six innings before breaking the game open with seven runs in the seventh inning. Bridget (over troubled waters) Betley was spectacular. She pitched a complete-game shutout, and helped her own cause with two hits and two RBI. Alexa Vardiman (Funny Cide) came off the bench and was 2-for-2 and Alexa Estrada had three hits for coach Andrea Mondadori’s Knights. It was career victory number 201 for Mondo. 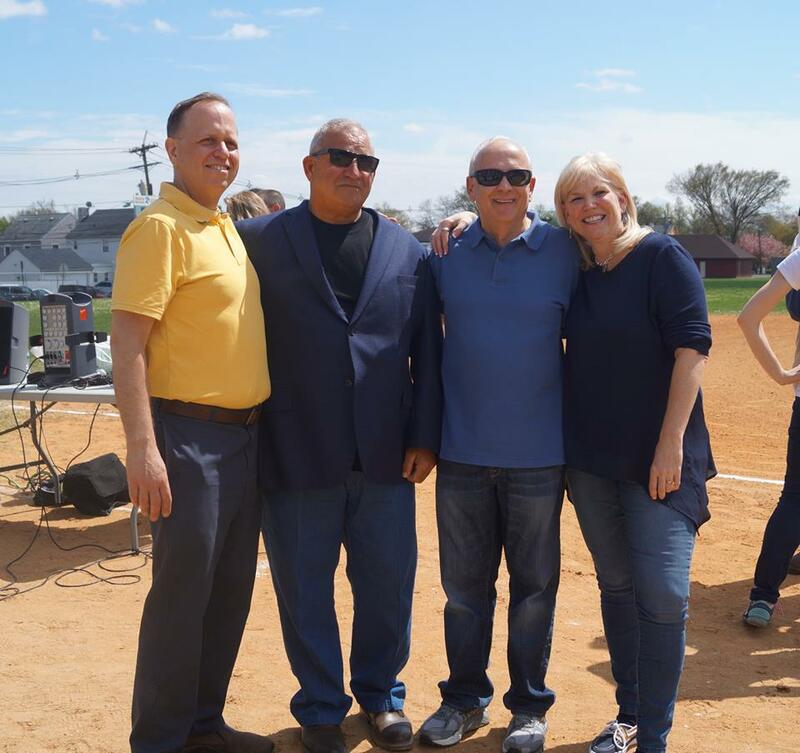 In planning for the April 23 dedication of Clearman Field to be re-named the Corino Softball Complex at Clearman Field, there were obviously plenty of concerns, among the powers-that-be, mainly Jeanne Lombardi and Chris Cantarella. The first, of course, was the weather. There was talk of a 30% chance of rain on Saturday morning, but it was supposed to be clear up by late morning. Okay, that’s fine. Clearman Field has been long known for its similarity to the Mojave Desert, in that it could pour two hours prior to a game, and the field would be completely dry by the first pitch. The next was the turnout of fans, players and friends. There was no question that Carl Corino’s family would be on hand, big time, and the initial show of interest appeared to be good. Phil Cuzzi spoke of a friendship that has transcended a lifetime. The morning began with an 11 a.m. game between Belleville and New Providence, in a varsity matchup. As the game progressed, the fans began to fill Clearman Field, and by 1 p.m., an hour before the dedication ceremony was scheduled to commence, the place was hopping. I was comparing the arriving crowd to a scene out of the Godfather, during Connie’s wedding. It was classic Belleville, NJ. In a nice gesture, Caldwell coach Mike Teshkoyan and his brother, Mark, were in attendance. The Teshkoyans are the all time leaders in wins for high school softball in Essex County. But there was a time that Carl was the winningest coach, in state history. There was often a very intense battle between Caldwell and Belleville, especially in the 1980’s, but the respect shared between the coaches never wavered, and it was great seeing Mike and Mark there, to congratulate Carl. 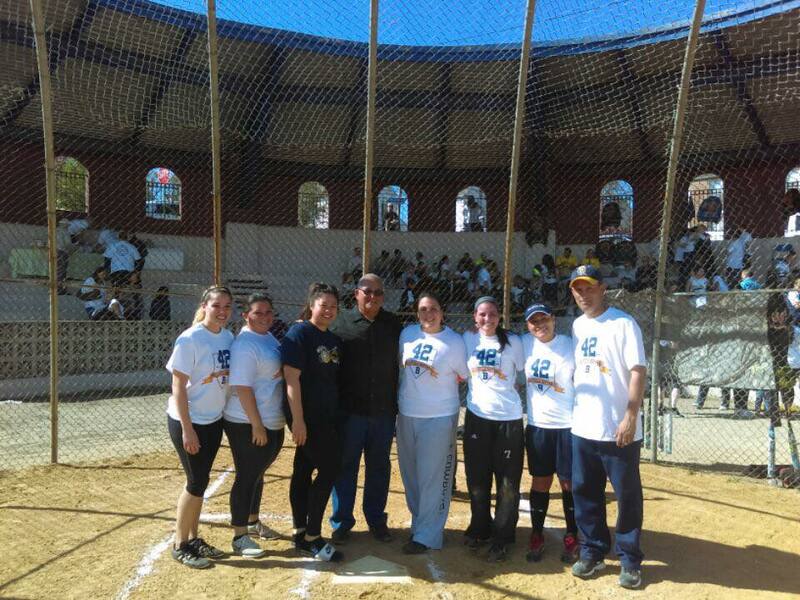 Carl Corino and the current Belleville High softball team. And as the ceremony neared, the weather continued to break perfectly. 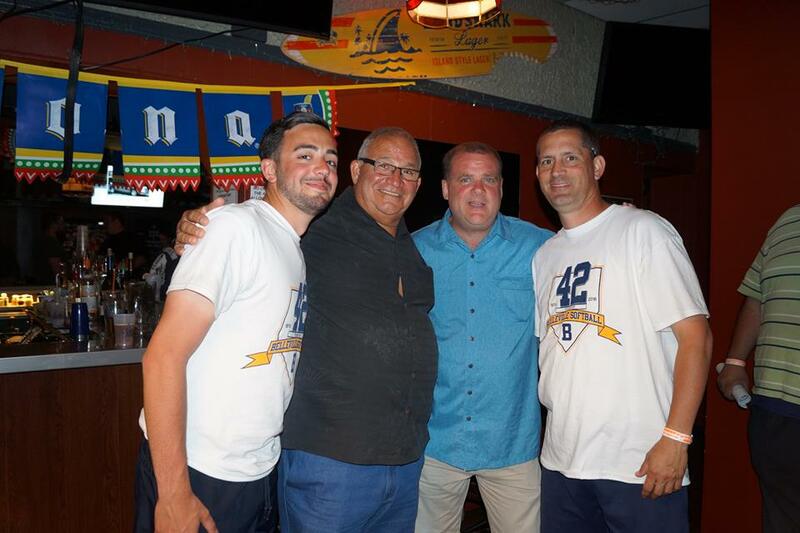 Bright sunshine adored the field, so when varsity head coach Chris Cantarella began his introductions, the large contingent of former players, parents, family and friends was ready for a party. Carl, with family and friends, after the unveiling of the sign. What they got was just that. Belleville Superintendent of Schools Dr. Richard Tomko, who was a driving force in the dedication being possible, spoke of Carl’s legacy. 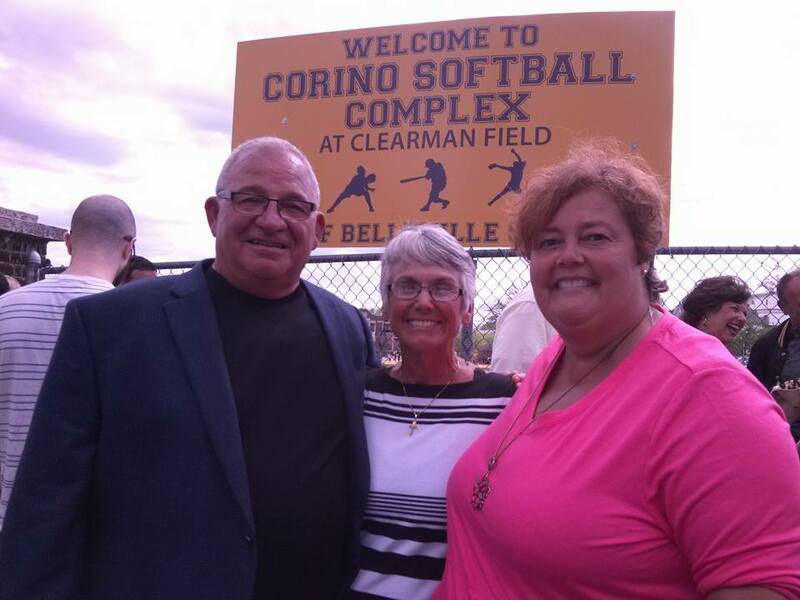 Carl with close friends at the dedication of the Corino Softball Complex at Clearman Field. Former BHS softball coach Cheryl Marion Zenobi gave a beautiful speech. 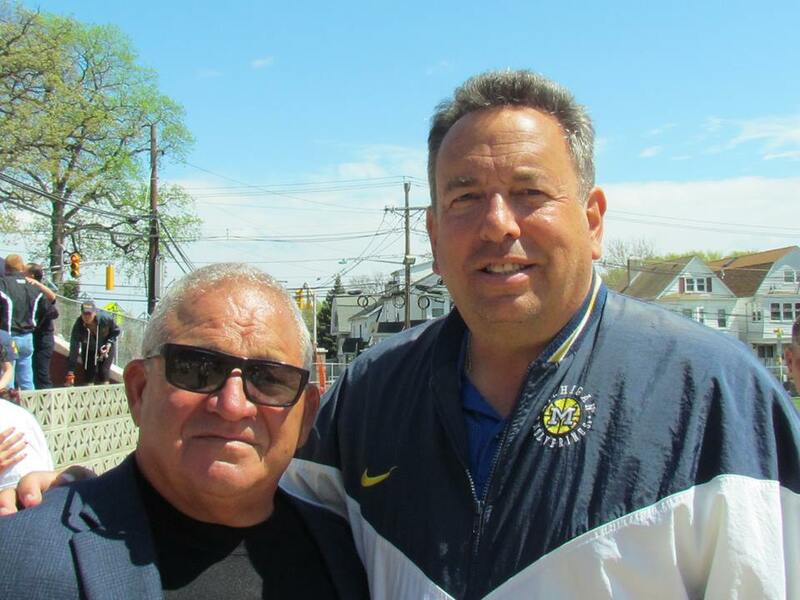 Phil Cuzzi, a long-time Major League Baseball umpire, spoke of his long-standing friendship with Carl, Jimmy and Mark Corino. Celebrating with friends at Roscommon House. Memories of Carl’s parents, the late Jennie and James Corino, flooded the ceremony. I’ll always like this photo. Carl, his wife Eve (center) and Sweet Lou. And then the crowd headed to the sidestreet, next to Clearman, to see the unveiling of the sign. The crowd cheered loudly, and finally Carl had his moment to say thank you. Alumni and friends had a great time. He acknowledged that naming every person he saw that day would be impossible, but they were all in his heart. And Carl was right, because the turnout was INCREDIBLE…. And then there was an alumni game, with former BHS players being the first to play on the new Corino Softball Complex’s diamond. Great times at home plate. Everyone had a good time. And the party moved to Michael’s Roscommon House, where everyone enjoyed a nice buffet of food and some drinks. A poignant video on Corino’s career, with great photos, brought the house down. That video was put together by Jeanne Lombardi. Memories of tremendous teams from the past. The day was symbolic of what made Belleville a special place, and for one night, it was indeed, the center of all our universes. West Essex coach Andrea Mondadori has often said that any milestones in her career must be shared with assistant coach Jay Ahmed. Mondo uses the phraise, ‘Jay and I’ when it comes to winning a game, whether it be a county, state sectional, conference or just a regular season game. 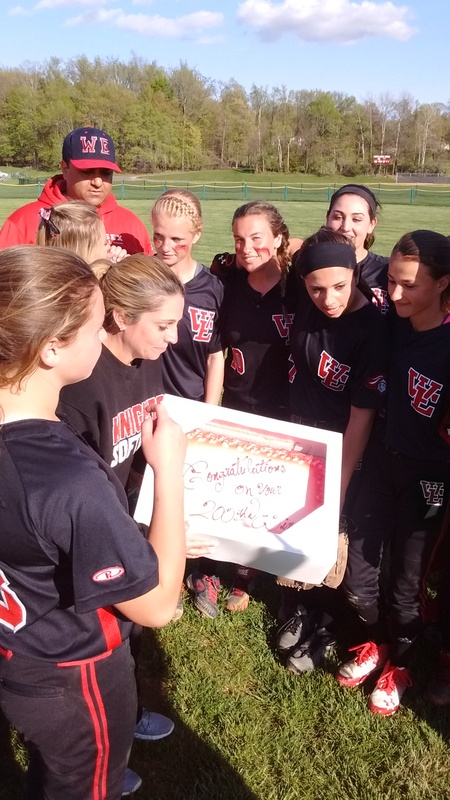 West Essex head coach Andrea Mondadori was emotional after her team presented her balloons and cupcakes following career win number 200. Her assistant, Jay Ahmed, stands behind the players, in hat. (Click on picture for a larger image). West Essex’s only defeat had come in the second game of the season, when it built a 4-2 lead, at Mount St. Dominic, before the Lions rallied back to win, 6-4. This time, the game was scoreless into the bottom of the fifth, as a solid pitcher’s duel was underway with MSD’s Kelsey Oh and West Essex’s Sami Huetter. Ironically, it was Huetter’s at-bat in the bottom of the fifth that ignited a West Essex rally. And Canonero II never got a chance to hit the ball. Instead, she was hit with a pitch, on the inside of her right knee. West Essex was all smiles in celebrating Mondo’s 200th win. (Click on picture for a larger image). Huetter was in obvious pain, but was not about to exit the game. In the Essex County Tournament championship game last May against Mount St. Dominic, Huetter was hit by a line drive, on her leg, while pitching in the first inning. She was never the same, and West Essex ended up on the short end of an 18-1 score. Huetter’s teammates rallied behind her. The Knights would break that scoreless tie with five run in the fifth, including key run-scoring hits by Bridget Betley and Amanda Garofalo, along with Alexa Vardiman (Funny Cide) putting the ball in play and driving a run home. When the smoke cleared, West Essex had a 5-0 lead heading into the sixth. Canonero II would retire the Lions in the sixth, then gave up a run in the seventh, before putting the game away. It was the first time West Essex had defeated the Mount since April, 18, 2012, when the Knights won a 2-1 decision. also in North Caldwell. West Essex and Mount St. Dominic could meet for a third time in the Essex County Tournament final. The Lions are the top seed while the Knights are seeded second. Betley, a junior second baseman, felt good after her team’s win today. 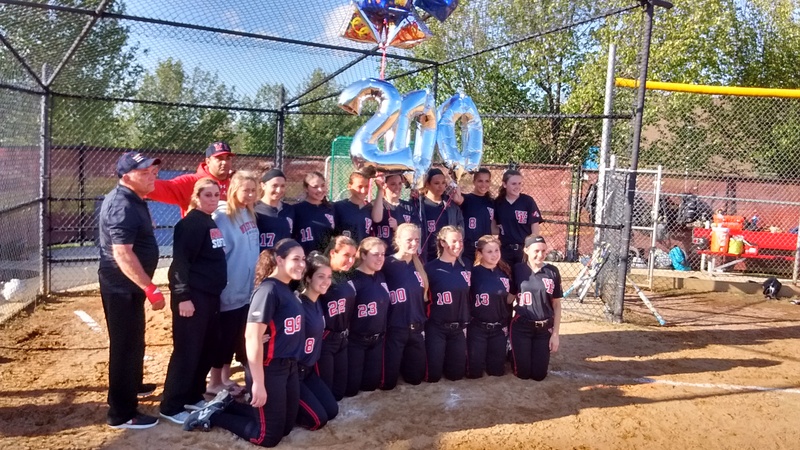 Not too many troubled waters on this day, for Bridget Betley and the Knights, as Coaches Mondadori and Ahmed celebrated a milestone. (Click on the picture for a larger image). For a milestone career win, it was hard to top this victory for Mondadori, now 200-106 in her career. 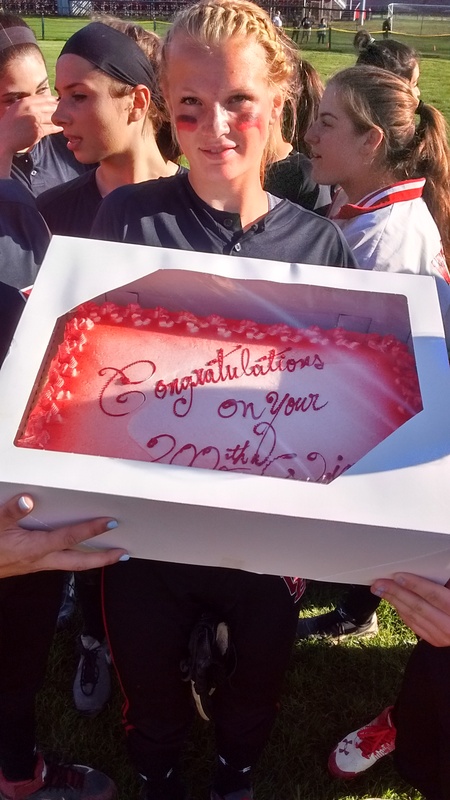 She had won her 100th game on April 22, 2010, at Nutley. At Bloomfield, a new era began with the first night game at The Pond. Cedar Grove was the opponent, and the Panthers came away with a 6-3 victory. Bloomfield coach Bob Mayer noted that the lights were installed late last summer and playing a night game at The Pond was a nice experience. A big crowd was on hand for the game. Rianna Marinelli was 4-for-4, with a double and three runs scored to pace Cedar Grove (7-7). Bloomfield’s Sam Corio (Pleasant Colony) hit a two-run triple. The Bengals fell to 6-9 on the season. 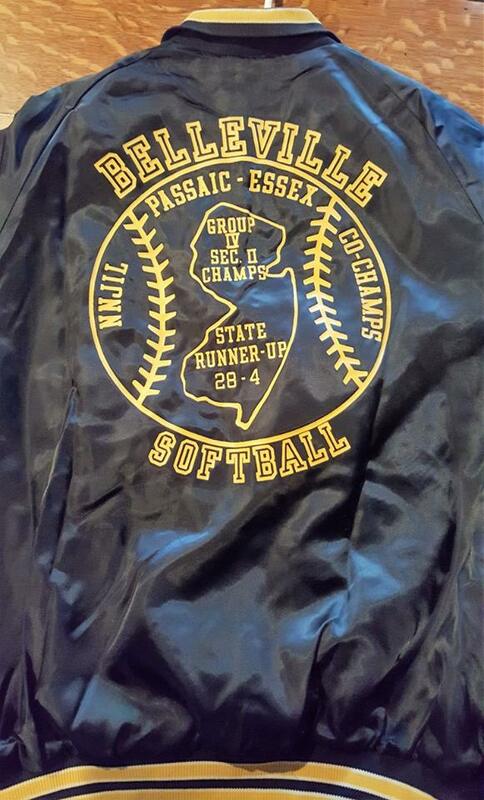 The 39th Essex County Softball Tournament will commence later this week, with play-in games. The ECT has become a very exciting tournament over the years. Let’s take a look at some frequently asked questions by fans of the tourney, as well as 28 things you need to know about the tourney’s storied history. Generally, a committee of Essex County coaches will vote on the seeds. The 2016 meeting was held on Tuesday, April 26, with coaches from the various divisions of the Super Essex Conference (SEC). All of the coaches were welcomed to comment on where they think their team should be seeded, but in the end, the committee makes the final choices. Good question. For the most part, there seemed to be a weighted respect toward the Super Essex Conference’s (SEC) American Division, which comprises the ‘stronger’ teams in the league. There is also credence toward teams that play a more rugged out-of-conference schedule. The head-to-head matchups are always discussed and usually are a deciding factor in seedings. This year, Newark Academy was expected to get a top 5 seed in the tourney. Newark Academy plays in the SEC Liberty Division and has played well against all competition. 3-Did the committee get it right with the higher seeds? For sure, the committee did its usual good job. The top 5 seeds (Mount St. Dominic, West Essex, Nutley, Livingston and Newark Academy) are the top 5 in FMTC rankings. (Not that it means anything, LOL). And if you look back at previous ECT’s, the seedings are usually pretty accurate. There have been quarterfinal upsets, in the past, (West Orange in 2010, Cedar Grove in 2014 come to mind right away), but when it comes to the championship game, there’s not a lot of mystery as to the finalists. The 2-time defending champs are the favorite, but unlike the past two seasons, maybe not overwhelming choices this season. 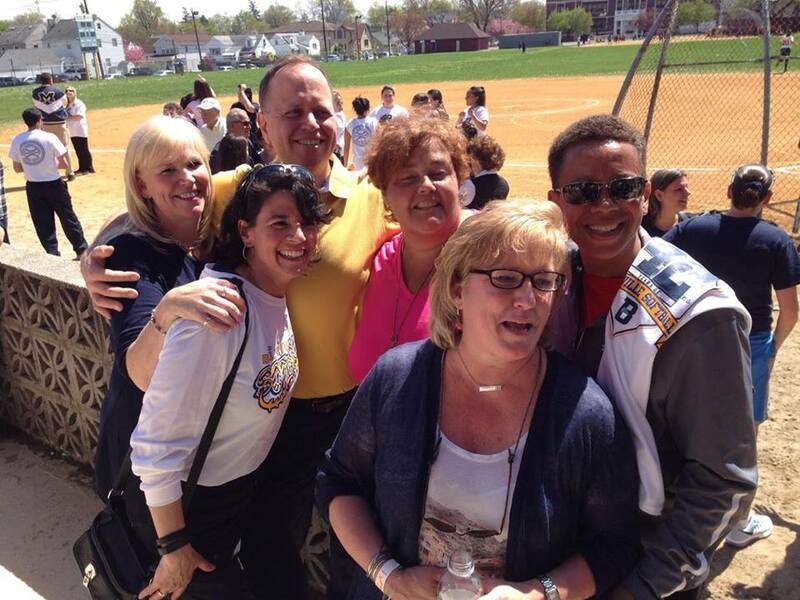 The Mount is still the Mount, but West Essex and Nutley are improved from 2015. Like the dominant Livingston teams from 2012-2014 (the Lancers were 48-1 at one point against Essex opponents), The Mount knows the target is always there. A third straight final between Mount St. Dominic and Livingston in 2014 was derailed when Cedar Grove stunned Livingston in its final at-bat in the 2014 quarterfinals. There’s no way head coach Lorenzo Sozio will allow the Lions to take this tourney lightly. Mount St. Dominic’s excellence in the ECT speaks for itself. The Lions have six county titles to its credit, and have won all of its championships since Sozio was named coach in 1996. The Mount has been to 13 finals, the most in tourney history, including the past five, and eight of the last nine. The Lions are second, all time, in tourney history with those six championships while Livingston is third, with five. 5-Will there be another Newark Academy-type run in 2016? Hard to fathom that this year. There are some feisty teams out there, but what Newark Academy did in 2012, by having to win a play-in contest, with a double-digit seed, then defeat defending champion Nutley in the first round and Caldwell in the quarters, will be tough to replicate this year. The upsets do happen. Not many expected Greer Manton and West Orange to go into Mount St. Dominic in 2010 and defeat the two-time defending champions in the quarterfinals. Caldwell stunned West Essex by the 10-run rule in the 2014 quarters to make the semis, then gave Mount St. Dominic a good game in the semifinals. And, as mentioned, Cedar Grove defeated the two-time defending champions, Livingston, also in the 2014 quarters. 6-Will this year’s Final Four bring the fans some great memories? The quality of the Final Four is certainly good every year, but there was something special about the 2011 semifinal between Livingston and Nutley. Livingston sophomore righthander Jess Peslak struck out 14 for Livingston, but Kristen Mattia hit a 3-run homer in the fifth inning for Nutley after Livingston had gained a 4-0 lead. The Lancers appeared to have it under control in the bottom of the seventh, especially after Peslak fanned Mattia for the second out, but Lauren Iradi hit a seeing-eye, two-out, two-run single as Nutley won, 5-4. A day later, it captured the county final over MSD, 3-0. (Peslak has often said it was one of the best games she ever played in, and she lost). 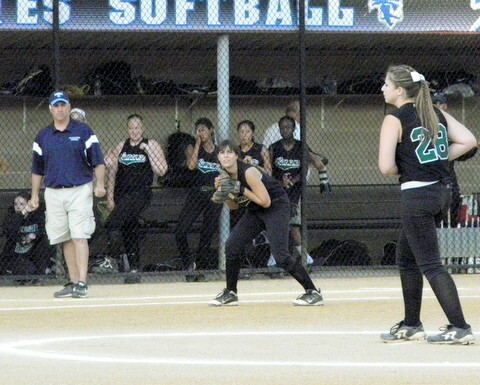 The 2013 semifinal between Cedar Grove and Mount St. Dominic was also a classic, as MSD’s Olivia Gemma hit an epic homer over the centerfield fence to lead the Lions past the Panthers after it appeared Cedar Grove had the game in hand. 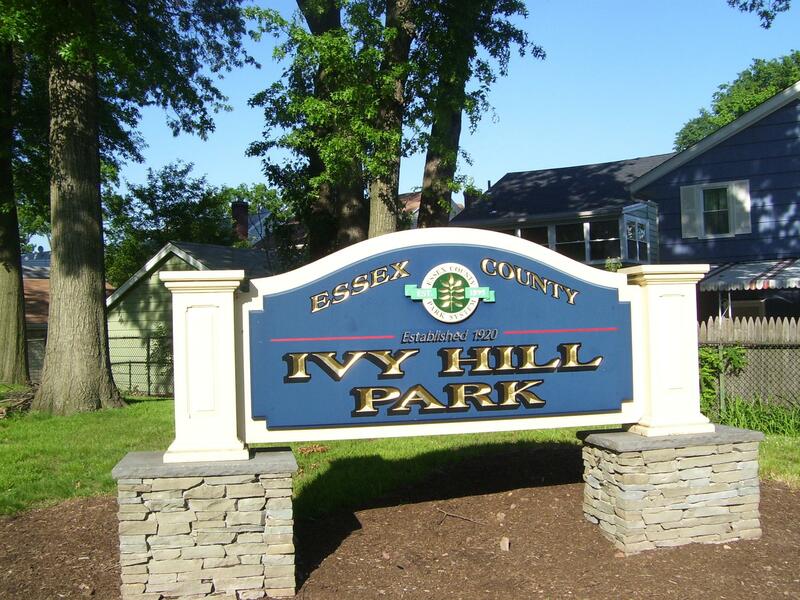 Essex County’s Ivy Hill Park will host the ECT semifinals and finals for the 12th straight year. And for pure recent drama, the 2012 and 2013 championship games between Mount St. Dominic and Livingston were as good as they got. Livingston’s Jess Peslak had some tremendous encounters with coach Lorenzo Sozio’s Lions, including the 2012 and 2013 county finals. 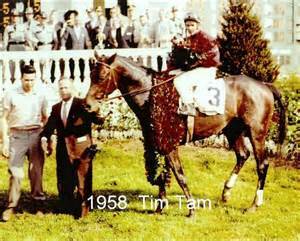 7-Any better at Ivy Hill Park? The recent refurbishing project at Ivy Hill Park should provide the fans a better view for the semifinals and finals. The field seems to be in much better condition, too. Personally, I’d love to go back to the days when all four quarterfinals were at Pulaski Park. That was fun softball, watching all four games, from the same venue, on the same day. And there are still better softball parks in Essex County than Ivy Hill, but it’s always a nostalgic trip back there, for me, and since it will be there for the now foreseeable future, might as well not complain about it. Should the favorites win, the semifinals at Ivy Hill will feature Mount St. Dominic against Livingston, or Newark Academy, while West Essex would play Nutley in a rematch of last year’s compelling game. It’s a fun tournament, with some conversation and debate, but in the end, it’s for the kids to enjoy. Great job by the committee in seeding it so well again, in 2016. Based on the seedings, it could be, with MSDA the top seed and West Essex seeded second. The teams met in mid April and Mount St. Dominic came away with an exciting come-from-behind win. West Essex defeated The Mount in the 2007 final and the Lions were unbeatable in last year’s title game, dominating the Knights. Don’t count Nutley out, either. Entering this week, the third-seeded Raiders had lost two close games. Nutley can swing the bats and its pitcher, Emily Holden (Genuine Risk), has proven she enjoys the big settings. This is the 39th ECT, so let’s look back at some facts and figures over the past 38 tourneys. 3- Mount St. Dominic has won six titles, Livingston has five crowns and Cedar Grove has four championships. Mount St. Dominic junior pitcher Kelsey Oh has two titles to her record, already, and could become the first four-time winning pitcher in the tourney’s history. Oh’s performances in the 2014 and 2015 finals were beyond dominant. Both of those title games went five innings, or less. 5-Mount St. Dominic’s second straight title last spring matched the 2008 and 2009 Lions for back-to-back titles. Livingston won consecutive crowns in 2012 and 2013. 6-Caldwell is the only team to three-peat as champions. (1986-88), with all three wins in the final against Belleville. The Mount will be favored this year to get the three-peat. 9-Cedar Grove (1979-80), Belleville (1982-83), Caldwell (1990-91 and again 2004-05), West Essex (1997-98),Bloomfield (1999-2000), Montclair Kimberley Academy (2001-2002), Mount St. Dominic (2008-09 and again in 2014-2015) and Livingston (2012-2013) are the schools which have won back-to-back titles. 10-Caldwell coach Mike Teshkoyan has the most championships with eight. Mount St. Dominic’s Lorenzo Sozio is second, with six titles. 11-Belleville-Caldwell (1986-88), Caldwell-Livingston (1990-91), Mount St. Dominic-Bloomfield (1995-96), Mount St. Dominic-Cedar Grove (2008-09) and Mount St. Dominic-Livingston (2012-2013) are the championship game matchups which occurred in consecutive years. Based on this year’s seeding, a West Essex-Mount St. Dominic contest could occur in a second straight final. 15-The highest scoring final occurred last year, with 19 runs scored. The second highest scoring final was in 1992, when Livingston and Bloomfield combined for 14 runs. 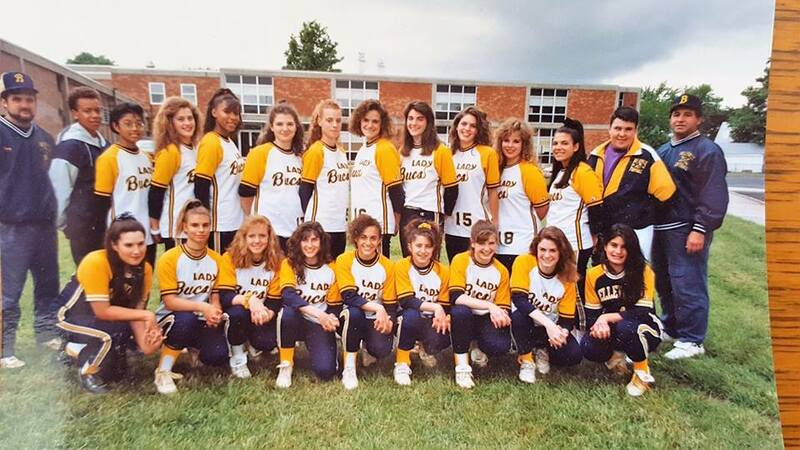 Cedar Grove and Belleville collected 13 runs in the ’84 title game. 16-Only three of the first 38 championship games have gone into extra innings, with Belleville (1989), Mount St. Dominic (2003) and Caldwell (2005) all winning by 1-0 decisions. The 2003 game between Mount St. Dominic and Bloomfield went 11 innings, the longest final on record. 23-It’s not often that sisters play against each other in a county tournament, but it happened in the 2011 championship game when Nutley, led by Eileen Purcell, defeated Mount St. Dominic, 3-0. The Mount’s junior catcher that year was Jamie Purcell, Eileen’s twin sister. Both girls are now playing on the collegiate level, at different colleges. 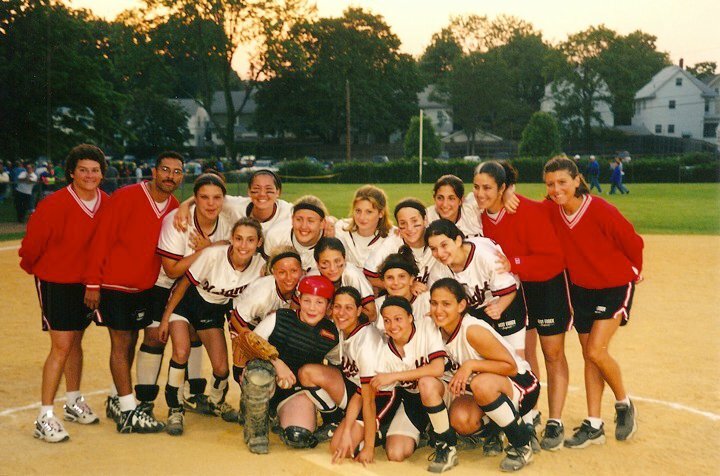 26-Sammi Rothenberger (Livingston), Kristen Mattia (Nutley) and Mount St. Dominic’s Olivia Gemma hit three of the more memorable homers in Ivy Hill history, since the field became the venue for the finals in 2005. All three of those homers occurred in semifinal matchups. 27-The last two county finals have ended in the 10-run mercy rule being invoked. 28-Bloomfield coach Bob Mayer recently won his 500th career game. He’s just the third coach in Essex County history to reach that plateau. Caldwell’s Mike Teshkoyan is first, all time, in county history with well over 600. Carl Corino of Belleville, who is retired, was the first to reach 500, back in 2005. 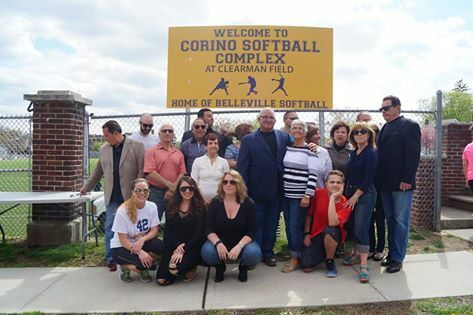 Corino recently was honored by having the ball park at Belleville named after him. 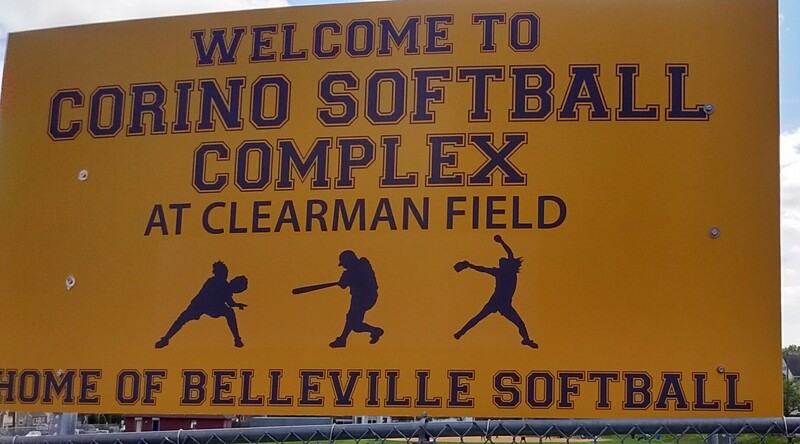 The new field in Belleville honors former coach Carl Corino. Bob Mayer and his Bengals recently celebrated the legendary head coach’s 500th win. Mayer has had some great runs at the ECT, including back-to-back championships in 1999 and 2000. Montclair has been battling all season long, against a tough schedule, coming close, at times, but unable to finish the deal against a Super Essex Conference American Division opponent. On April 25, the Mounties finally prevailed, defeating Bloomfield, 5-3, in 11 innings at The Pond, in Bloomfield. 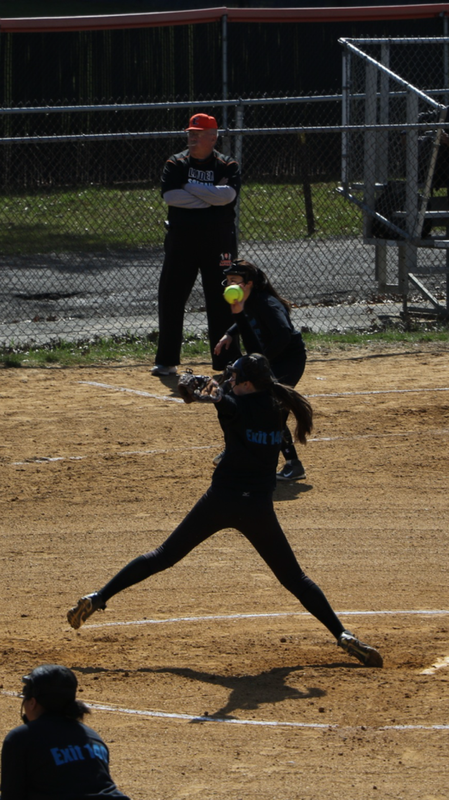 In what may have been one of the more exciting games in Essex County this year, Montclair jumped out to a 2-0 first inning lead, on a big two-out, two-run single by Francesca Testa, and appeared to be coasting behind the stellar pitching of junior righty Jessie ‘Maddux‘ Masur. But has been the case in most of its closer losses, Montclair (3-10) had a bad inning, when Bloomfield rallied to tie it, and then threatened to break the game open, in the sixth inning. But this time, Montclair responded with a huge double play to end the rally, and from there, both teams played five more intense innings, including two frames under the international tiebreaker rule. Masur was outstanding, striking out 20 in a complete game effort. Jessie Mazur had a tremendous game for Montclair, against Bloomfield. (Click on the photo for a larger image). Mazur didn’t even know the game had gone 11 innings. Bloomfield (6-8) got a solid pitching effort from starter Courtney Politz, before giving way to Samantha Corio, who had a tremendous all-around game. Corio had made a diving catch to stop one rally earlier in the game, then threw out a base runner attempting to score from third base, with a perfect peg to the plate. Corio would pitch the next few innings, and was solid, working out of a few jams, before the Mounties broke through with three runs in the top of the 11th. Montclair took the lead on a wild throw to third base, then extended to a 4-2 advantage on a solo homer by Erica Robles. Mazur would add a key insurance run later in the frame, when she drilled an RBI single. Montclair also got a big catch from Sofie Fachin in the 10th inning that saved the game. The ball was hit between the shortstop and left field, and if Fachin doesn’t catch it, Bloomfield would have scored the game-winning run there. For Bloomfield, third baseman Kim Zapata made two stellar catches to end a Montclair rally in the 10th inning. Corio was disappointed afterward, but knew her team was right there. 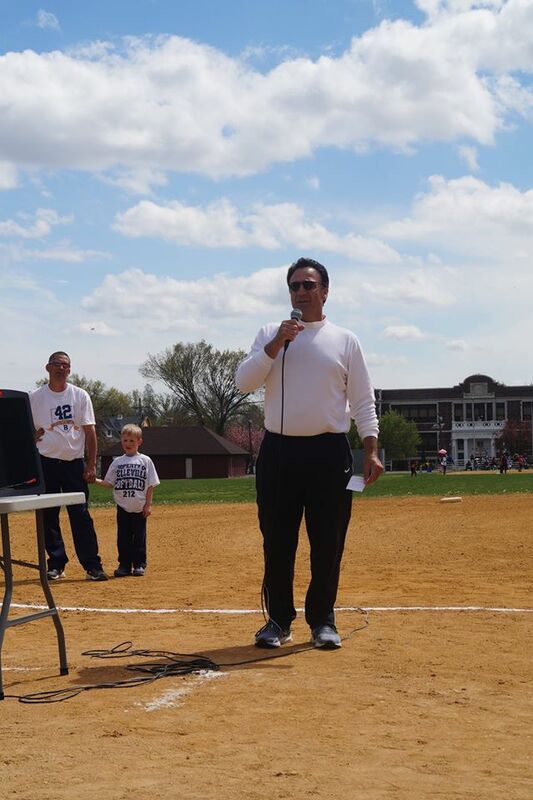 The Mount St. Dominic Lions paid tribute to the late IHA coach, Anthony LaRezza, in its game on April 25. It was a very classy move by a first-class program. The No. 1 MSDA Lions paid tribute to the late Anthony LaRezza. (Click on photo for a larger image). Seedings for the 39th Essex County Tournament are expected to be announced by April 26, or 27. Two-time defending champion Mount St. Dominic should be the top seed, but a committee will decide the matchups. Here is the FMTC updated Top 10. 1-Mount St. Dominic (12-1): The Lions keep rolling, including a tremendous weekend in Ohio, where it won a pair of games in a national showcase. 2-West Essex (10-1): The Knights have a nine-game winning streak and will have a huge matchup with Mount St. Dominic on April 27, in North Caldwell. 3-Nutley (10-2): Senior pitcher Emily Holden (Genuine Risk) continues to throw the ball well for the Raiders, including wins over Jackson Liberty and Livingston. 4-Livingston (6-7): The Big Green Machine had a pair of wins last week and will be a factor in the upcoming county tournament. 5-Newark Academy (7-3): The Minutemen won three straight last week, all by double digits. 6-Cedar Grove (6-7): The Panthers are young, but head coach Nicole Velardi feels the team is starting to find a rhythm. 7-Caldwell (10-1): The team with the most championships in the history of the ECT has been very consistent this year. 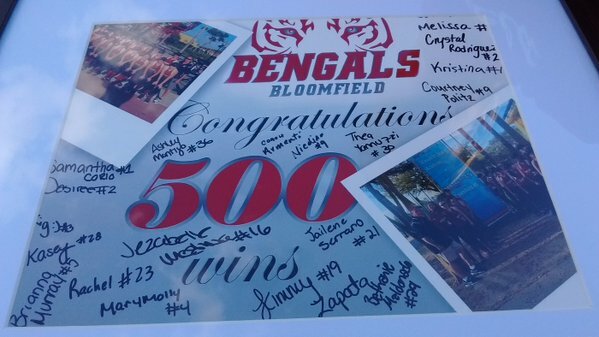 8-Bloomfield (6-8): Bengals presented head coach Bob Mayer his 500th career victory last weekend. Bob Mayer won his 500th career game last weekend, in Clifton. He’s just the third coach in Essex County history to attain that mark. (Click on the photo for a larger image). 9-Verona (6-6): The Hillbillies lost a close game to arch rival Cedar Grove, 7-4, and could be a tough out in the ECT. 10-Millburn (13-0): The Millers continue to remain unbeaten, including a win over Columbia. It will be interesting to see where it is seeded for the counties. The latest stud watch…Two new additions this week. 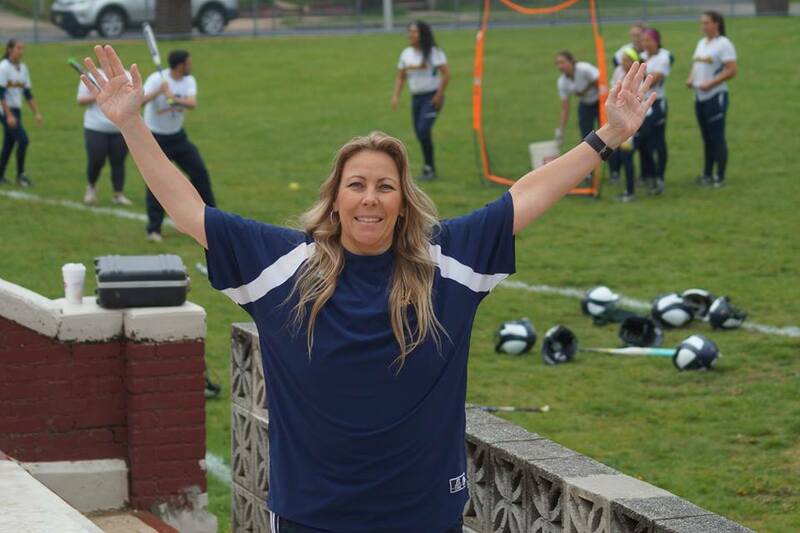 Immaculate Heart has been on a nice run the past few weeks, and the Eagles continued that trend on April 24 with a 5-0 win over Butler, at a tournament, in Saddle Brook. 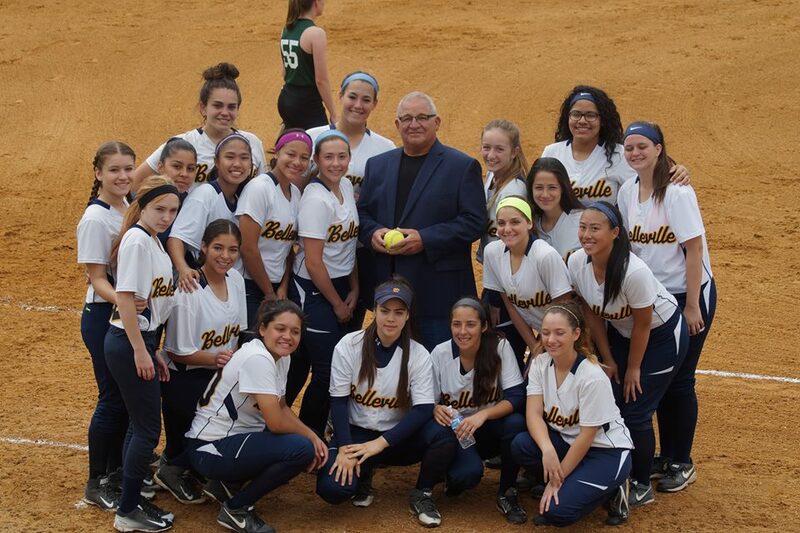 The Saddle Brook ball park had become the site of some not-so-good memories for IHA, including a loss to Butler, last year, at the same tournament, and a defeat at the hands of Indian Hills in the final at-bat of a classic Bergen County final, in 2014. 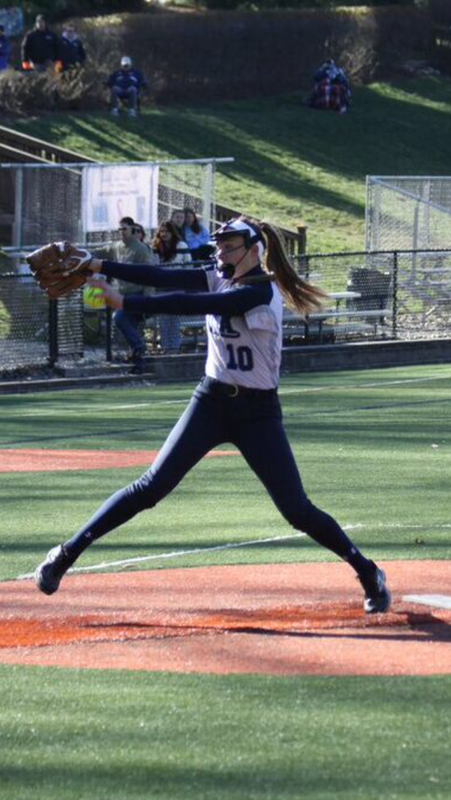 This time, behind the pitching of Olivia Sprofera (Southpaw Seattle Slew), the tireless effort on the base paths of Reese Guevarra (Sunday Silence) and some incredible defensive plays from senior shortstop Taylor Kenerson, IHA avenged last year’s loss to Butler. IHA (10-1) scored twice in the first inning, as Guevarra’s aggressive running led to a throwing error which scored Sunday Silence and Kenerson. Guevarra was 3-for-3, including a triple that featured a sparkling slide into third, as Fasano encouraged her to take the extra base. Guevarra also stole three bases. Guevarra’s triple also plated (former president) Reagan Jones, who had singled and stole second base. Jones, a junior third baseman, is deceptively quick. In one at-bat, on a routine grounder to short, Jones, batting right-handed, nearly beat the throw to first. On defense, Kenerson was tremendous, including an excellent play in the sixth inning. Playing practically on the grass at short, Kenerson, who will play at Misericordia University this fall, fielded a sharp grounder, as a Butler baserunner scooted by, then made a marvelous throw to first to retire the base runner, and end the inning. 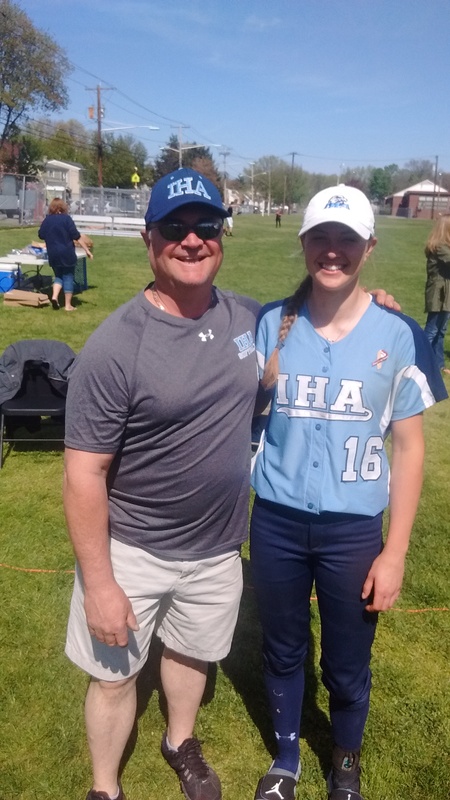 Taylor Kenerson, here with her dad, Kevin, had a tremendous game as IHA defeated Butler, 5-0, on April 24, in Saddle Brook. And Sprofera put the capper on the game, and the week, with another outstanding effort. Southpaw Slew struck out seven and walked one. She got out of a bases loaded jam in the fourth inning, and ended up scattering just two hits. (Sprofera’s mom, Sevan, who lives and dies with each pitch, admitted that one inning was a little nerve-wracking). In three games this week, against quality opponents, Olivia, a junior lefty, gave up one earned run, struck out 31 and gave up a grand total of six hits, in 21 innings of work. Olivia Sprofera continues to dazzle. She led IHA to the state championship in 2015, including a shutout in the title game, and has been marvelous so far in 2016. 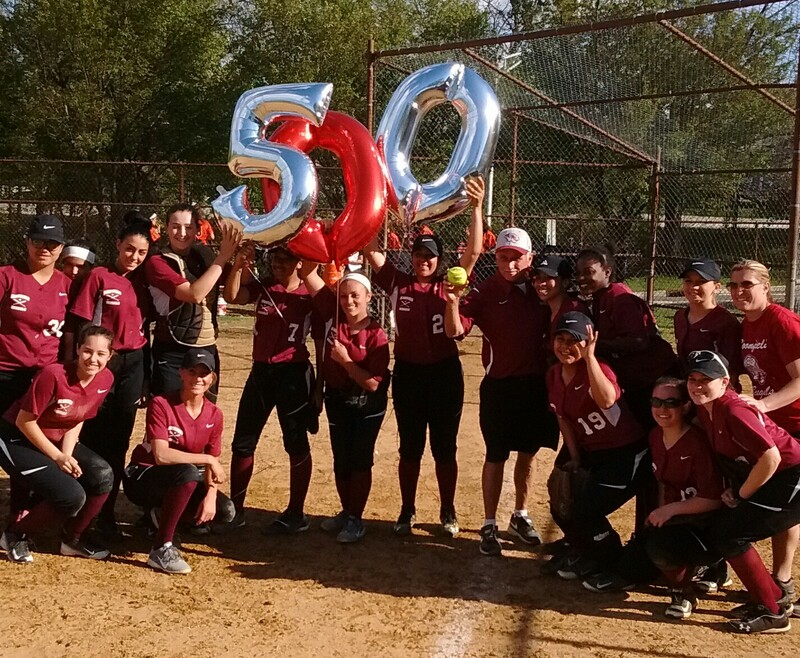 Bob Mayer’s enthusiasm level as he neared an incredible milestone of 500 career wins as Bloomfield High’s softball coach was the equivalent of preparing for a root canal. As proud as Mayer has been of coaching student-athletes, he never wanted the victory total to be about himself. “I just want to get it over with,” Mayer had said on numerous occasions, as the number inched higher. Nevertheless, as Bloomfield defeated Memorial of West New York, 12-3, for win number 500 on April 23, at Clifton’s Main Memorial Park, Mayer admitted he got a little emotional, in seeing the fans’ reaction. Mayer is the third coach in the history of Essex County to reach 500 wins, joining Belleville’s Carl Corino, who was the first to do it, in 2005, and is since retired, and Mike Teshkoyan, who is still active and has won over 600 as Caldwell’s head coach. 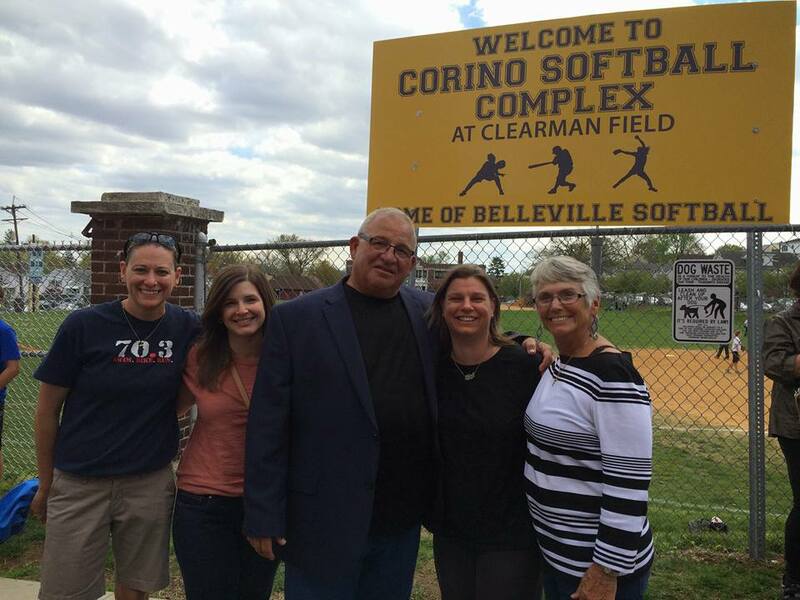 Ironically, Mayer earned his 500th on the same day the Belleville community honored Corino, by naming its softball field in the coach’s name. 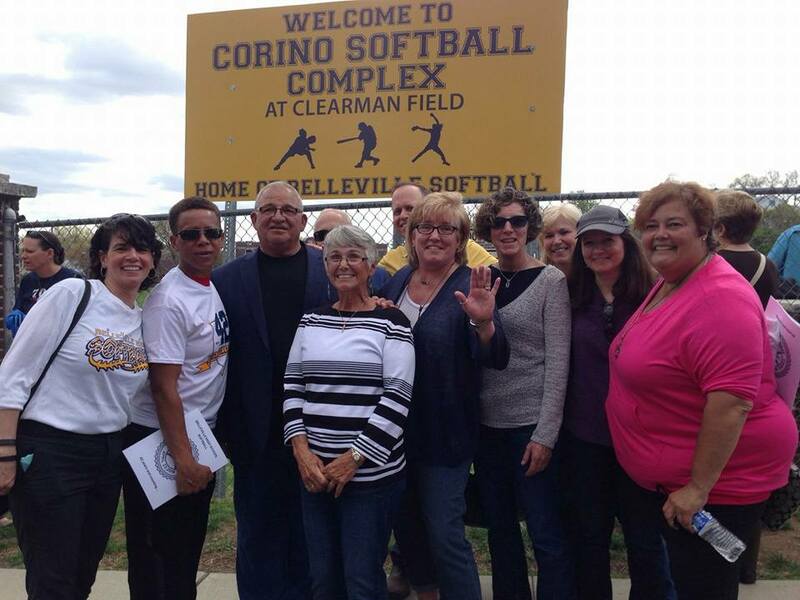 A large contingent of fans were on hand, as Clearman Field was re-named The Corino Softball Complex at Clearman Field. Mayer and Corino have remained friends since the days the Bengals and Bucs played each other. Mayer actually reached out during his game today, asking how the Corino dedication went, and Corino was very happy to hear that Mayer had reached his milestone, when informed at a post-dedication party. The Bengal players were really excited about the accolade. The team presented Mayer with three balloons, symbolic of the numbers 5-0-0, as well as a special plaque and the obligatory cupcakes. Senior pitcher Courtney Politz threw a complete game, and afterward admitted it was special to be in the circle for win 500. In the second game, she paced her team’s offense, with three hits, including a double, and a run scored. Newark Academy coach Serg Rodriguez was also on hand to see the milestone win. Rodriguez, like most of the coaches in Essex County, has a great deal of respect and fondness for Mayer. Bloomfield’s offense was led by senior centerfielder Sam Corio, who had four hits while Politz had three and Kim Zapata and Ayaria Andrade-Zygmunt had two hits each. Corio then started the second game, against the Clifton Mustangs, at Main Memorial Park, as the team’s pitcher, and threw a complete game. She also had two more hits. Jalia Santos also had two hits, including a mammoth homer in the second inning. Bloomfield won that game, too, 6-3, and improved to 6-7 on the season, as Mayer won game number 501. Sam Corio is a versatile player for the Bengals. 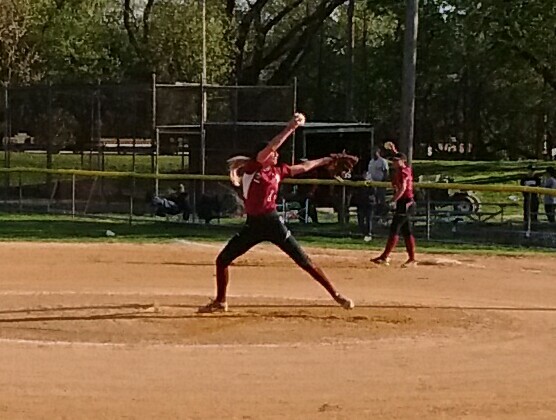 She pitched a complete game in a 6-3 victory over Clifton, striking out six and walking three.